Organic food is gaining greater recognition among consumers (organic / bio) food is produced using only natural methods. Organic Acai is 100% organic juice made exclusively with delicious acai berry - without the addition of other fruits. Acai berry is a wealth of nutrients, distinguished by extraordinary antioxidant potential - one of the highest among the fruits! Acai berry comes from the untouched areas of the Amazon, and not without reason, is called the "treasure of the Amazonian forests". 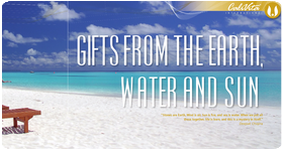 Its newer, miraculous properties are constantly being researched and discovered by modern science. Acai berry is the fruit of the palm Euterpe oleracea looks like blueberry. However, there are slightly larger and have a large stone. The product meets the stringent requirements of organic production, in which drastically reduces the use of any chemical pesticides, synthetic fertilizers or processing aids. 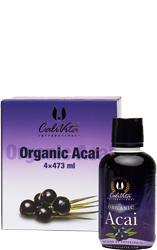 This makes it richer in nutrients more effectively act upon the body and keeps the natural, intense flavor and aroma of the acai berry. Due to the rapid loss of its valuable nutritional properties of the acai fruit immediately after harvest are processed, among others, juices or purees. 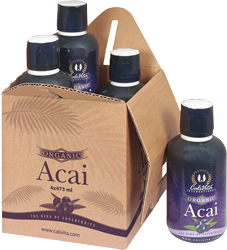 Organic Acai contains 100% acai berry juice without the addition of other fruit! One of the sensational discoveries of last years is the Acai (pronounced as: Asai), berries that endemic grows in the rain forests of the Amazon. 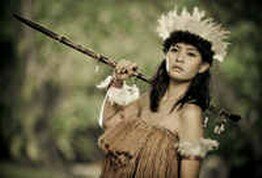 After it became widely known that Indians from South America used this plant to treat numerous problems, modern science has employed scientists, who continue constantly work on the study of beneficial health actions that this fruit possesses. The most prominent are the antioxidant and anti-inflammatory effects of this fruit. The term antioxidant means to prevent or slow the oxidation. In our body, as a result of stress, smoking, alcohol and drugs, as well as the application of foods that are contaminated with chemicals, leads to the accumulation of free radicals, which can easily damage the DNA, cell walls, important proteins and enzymes that oxidize (unsaturated) fatty acids, which can lead to illness. Antioxidants may halt these processes. Unfortunately, studies show that the vast majority of people do not consume sufficient amounts of fruit and vegetables, so unfortunately are deprived of one of the most important sources of antioxidants. However, studies show that oxidative stress plays an important role among others in the development of cardiovascular and inflammatory diseases, several types of cancer, type 2 diabetes, as well as a decline in mental abilities. 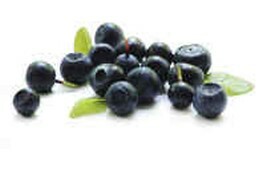 Acai contains numerous types of antioxidants. Anthocyanin, that gives the fruit dark purple color, helps in the prevention of high blood pressure and studies have confirmed that the intake of large amounts reduces the risk of heart attack in women. It is also proven that ellagic acid that berries contain, can prevent inflammation and damage to the collagen in cells due to UV-B radiation. Based on the results is also assumed that the berries with a high content of ellagic acid, such as the acai can help treatment of wrinkles and ignition after exposure to UV radiation. Acai also contains significant amounts of phytosterols, which have already been shown to reduce cholesterol levels and also have a preventive effect on cancer. Acai is a right vitamin bomb: contains vitamins B1, B2, C and E, and niacin. Obesity has unfortunately grown to become a real epidemic, the widespread disease not only in developed countries but also in poor developing countries. According to estimates by the World Health Organization (WHO), from obesity will suffer as much as 1.5 billion people. Obesity increases the risk of the emergence of numerous diseases. Such as are various types of cancer, type 2 diabetes, cardiovascular disease, stroke, diseases of the motor system, as well as hormonal disorders and infertility. Metabolic syndrome is a cluster of symptoms that include high levels of insulin, reduced glucose tolerance, elevated blood pressure and elevated cholesterol and triglyceridesl evels. Acai's "international career" began in the form of the preparation that helps weight loss and success achieved in this field is still unmatched. Acai regulates blood sugar levels, which is one of the key factors for the success, because in this way they can avoid sudden sudden attacks of hunger. Tests have proven that consuming acai fruit for a period of one month helps to reduce the level of cholesterol and fats in the blood, and therefore may represent an effective addition to the fight against metabolic syndrome. Experience the effects of Organic Acai! Acai has become known worldwide as a fruit that helps regulate blood sugar levels, which is one of the cornerstones of a successful diet, because it easier to avoid sudden attacks of hunger. A 2009 survey sought to determine the effects of Acai on 10 obese people who had a high risk of metabolic syndrome. Measured glucose levels, insulin and fat and blood pressure. It was found that the levels of sugar in the morning, blood sugar after meals and insulin levels significantly decreased. Use Acai also contributed to reducing the total cholesterol and LDL cholesterol while good HDL cholesterol levels remained the same. The organic acai juice after a first year in our network gained a lot of fans. Here are some great feedback on the effects of this product. My dear friend and associate recommended the Organic Acai his 81-year-old sister, who was suffering from bronchial asthma and heart of 28 years of age. She used drugs to reduce the unpleasant symptoms. She stopped working at the age of 48 years. The organic acai was taken since November 2013. She took the 2x2 tablespoons a day for a month, and then the 1x1 tablespoon a day. Fantastic product performance was felt after two weeks, when she was able to stop taking drugs. She used it for another two months, but in January it is used rarely, only in foggy, rainy weather. The organic acai helped, in 90% reduced the unpleasant symptoms of suffocation, which lasted 53 years. Improved her quality of life as well as physical strength. She is thankful for everything, and she's glad that with help of CaliVita® came to this great product, which is recommended to everyone. My working day is often very long and stressful, lasts 12-14 hours. At the end of the day often feel weak and exhausted. 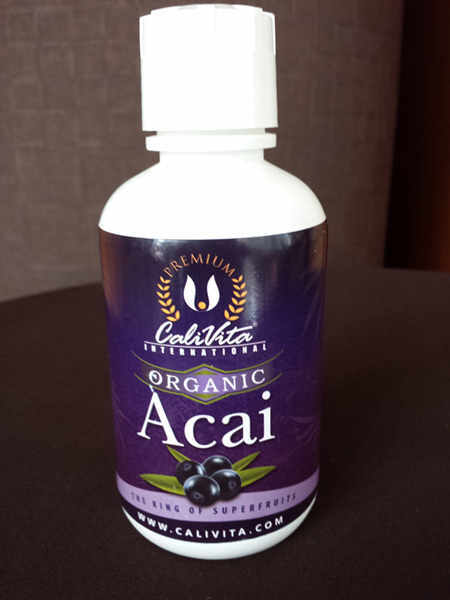 Then I started taking new Organic Acai, which my friend already taken. The energy I felt almost immediately, but it most important effect was to stabilize blood sugar levels, but I almost do not even notice that was because my irregular diet. A stress is not a hard to overcome and I have a lot more power. On top of that, my appetite has decreased. The organic Acai I first met it when he came to Poland in the fall of 2013. The first big plus for Acai that does not contain sugar! As I am a diabetic I recommend it to all diabetics. This year, the season of intestinal flu, my daughter could not take any medication. For three days she drank only water and organic acai for rehydration organisms. Acai for her was both food and medicine. She recovered without taking any medications. I recommend Acai to people who want to lose weight. I also recommend it and older people like me (70 years) or those with chronic diseases to strengthen the body. I forgot to catch a cold last winter! When Acai became available in the CaliVita network, I read a lot of literature about the great effects of the product on human health. Soon I myself become a user. I took 3 x 1 tablespoon a day and in addition to the usual effect of raising mood, I felt two things. First, I stopped so want sweet stuff, and my good stash of chocolate is no longer attracted to. I just did not have the need as before. And it's good that it happened because the blood sugar level for me was at the limit of normal. The second thing I notice now - but last winter I did not even have any cold! The truth is that I used Acai with SambuRex and vitamin D in drops (D drops). These two products will be my choice again this autumn. Euterpe oleracea (Acai) is a fruit found in the pristine forests of the Amazon, for centuries used in both traditional therapeutic treatments and daily diet. Its positive impact on the human body, among others, on the heart, vision, gastrointestinal tract, joints, bones or carbohydrate metabolism has been studied by many scientists around the world. However, according to the researchers, this exotic fruit, hides even more power salutary action on our health! Acai, in addition to components well known to us, additionally contains more than 50 yet unidentified substances that are not present in other fruits! Therefore, the advantages of its beneficial actions are still being discovered anew for the next scientific community. Here are a few positive actions of this precious, coming from Amazonian forests, fruit on the human body. Strong bones and efficient joints! Acai Berry is a source of valuable minerals that contribute to the maintenance of dental health: calcium, magnesium. Acai contains vitamins B1, B2, niacin and minerals: potassium, magnesium, copper and iodine supporting proper functioning of the nervous system. Acai berries are a valuable source of components reducing fatigue (vitamin B2, niacin, pantothenic acid, iron, magnesium). Fruit of Acai improve psychological functions (vitamin B1, niacin) and cognitive function (iron, iodine). So countless literature data point to many benefits of consuming acai berries and drink acai juice. Arabbi P.R., Genovese M.I., Lajolo F.M. Flavonoids in vegetable food commonly consumed in Brazil and estimated ingestion by the Brazilian population. J. Agric. Food Chem. 2004; 52:1124-31. Araujo C.L., Bezerra I.W.L., Dantas I.C. i wsp. Biological activity of proteins from pulps of tropical fruits. Food Chemistry 2004; 85:107-110. Bobio F.O., Druzian J.I., Abrao P.A. Identification and quantification of the anthocyanins from the fruit of acai (Euterpe oleraceae) Mart. Cienc. Technol. Aliment. 2000; 20:388-390. Bobio F.O., Bobio P.A., Oliviera P.A. Stability and stabilization of the anthocyanins from Euterpe oleraceae Mart. Acta Aliment. Hung. 2002; 31:371-377. Błecha K, Wawer I. Profilaktyka zdrowotna i fitoterapia, 2011. Cieślik E., Gręda A., Adamus W. Contents of polyphenols in fruit and vegetables. Food Chemistry 2006; 94:135-42. Cieślik E., Gębusia A. Charakterystyka właściwości prozdrowotnych owoców roślin egzotycznych. Postępy Fitoterapii 2/2013, s. 93-100. Cieślik E., Topolska K.: Skład chemiczny i właściwości funkcjonalne jagody acai (Euterpe oleracea Mart.). Postępy Fitoterapii 3/2012, s. 188-191. Coisson I.D., Travaglia F., Piana G. I wsp. Euterpe oleracea juice as functional pigment for yogurt. Food Research International 2005; 53:2928-35. Del Pozo-Insfran D., Brensen C.H., Talcott S.T. Phytochemical composition and pigment stability of Acai (Euterpe oleraceae Mart.). Journal of Agricultural and Food Chemistry 2004; 52:1539-1545. Del Pozo-Insfran D., Percival S.S., Talcott S.T. Acai (Euterpe oleracea Mart.) polyphenolics in their glycoside and aglycones forms induce apoptosis of HL-60 leukemia cells. Journal of Agricultural and Food Chemistry. 2006; 54:1222-1229. Fillon M. The secret from the Amazon. Breakthrougns in health. 2006; 4:43-49. Gallori S., Bilia A.R., Bergonizi M.C. Poliphenolic constituents of fruit pulp of Euterpe oleraceae Mart. 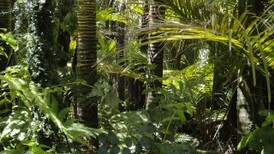 (acai palm). Chromatographia 2004; 59:739-733. Gawlik-Dziki Urszula. Fenolokwasy jako bioaktywne składniki żywności. Żywność, Nauka. Technologia. Jakość, 2004, 4 (41) s. 29 – 40. Global Wellness Report. Patent-pending process supercharges the Mona Vie blend 2006. R3 Global, 1:1-4. Grajek W. Rola przeciwutleniaczy w zmniejszaniu ryzyka wystąpienia nowotworów i chorób układu krążenia. Żywność. Nauka. Technologia. Jakość. 2004; 1(38):3-11. Hassomoto N.M.A., Genovese M.I., Lajolo F.M. Antioxidant activity of dietary fruits, vegetables and commercial frozen fruit pulps. J. Agric. Food Chem. 2006; 53:2928-2935. Lichtenhaeler R., Belandrino R., Guilherme R.J. i wsp. Total oxidant scavenging capacities of Euterpe oleraceae Mart. (Acai) fruits. Inter. J. Food Sci. Nutr. 2005; 56: 53-64. Lichtenhaeler R., Marx F. Total oxidant scavenging capacities of common European fruits and vegetables juices. J. Agric. Food Chem. 2005; 53:103-110. Perricone N. The Perricone Promise. Ed. Warner Books, New York 2004. Rodrigues R.B., Lichtenhaeler R., Zimmermann B.F. i in. Total oxidant scavenging capacity Euterpe oleraceae Mart. (Acai) seeds and identilication of their polyphenolic compounds. J. Agric. Food Chem. 2006:54:4162-4167. Schauss A.G. Acai: An extraordinary antioxidant-rich palm fruit from amazon. BioSocial Publications. Tacoma 2008. Schauss A.G., Wu X., Prior R.L. i wsp. Phytochemical and Nutrient Composition of the Freeze-Dried Amazonian Palm Berry, Euterpe oleracea Mart. (Acai). Journal of Agricultural and Food Chemistry 2006, 54, 8698-8603. Schauss A.G., Wu X., Prior R.L. i in. Antioxidant capacity and other bioactivities of the freeze-dried Amazonian palm berry, Euterpe oleracea Mart. (Acai). J. Agric. Food Chem. 2006;54:8604-8610. Sikora E., Cieślik E. Występowanie przeciwutleniaczy w owocach jagodowych. W: Grajek W. (red. ), Przeciwutleniacze w żywności. Wydawnictwo Naukowo-Techniczne Warszawa 2007; 201-9. Sikora E., Cieślik E., Topolska K. The sources of natural antioxidants. Acta Sci. Pol. Technol. Aliment 2008; 5-17. Surma-Zadora M., Cieślik E. Właściwości funkcjonalne związków fenolowych. Żywienie Człowieka i Metabolizm 2007, 34, 1648-1656. Surma-Zadora M., Cieślik E., Florkiewicz A. Antioxidant potential of Acai berry (Euterpe oleracea Mart.). Int. Conf. Risk Factors of Food Chain. 2008, Kraków. Szajdek A., Borowska J. Właściwości przeciwutleniające żywności pochodzenia roślinnego. Żywność. Nauka. Technologia. Jakość. 2004;4 (41):5- 28. Udani J.K i WSP. Effects of Acai (Euterpe oleracea Mart.) berry preparation on metabolic parameters in a healthy overweight population: A pilot study. Nutrition Journal 2011. Wang H.,Cao G., PriorR.L. Oxygen radical absorbance capacity of anthocyanins. J. Agric. Food Chem. 1997; 45:304-309. Warren S. Acai crown jewel of the Amazon. Health J. 2007; 95:1-4.